An Italian translation of Sytze’s book Song and Circumstance. 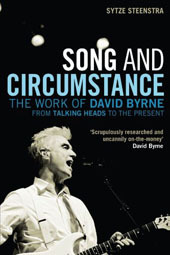 The Work of David Byrne from Talking Heads to the Present is about to be published by Odoya, in Bologna. The Italian title is David Byrne, la musica, l’arte. For more information, see http://www.odoya.it/index.php?main_page=product_book_info&products_id=617. In September and October 2012, Sytze taught the course “Introduction to Art: Representations, Performances and Interactions” at the University College Maastricht (UCM), the liberal arts college of Maastricht. Sytze replaced the regular professor, Christoph Rausch, because of the sudden and tragic death of his wife, Karen Pärna, who also taught at UCM. As Sytze had designed this course several years ago, he was able to take over the entire course (tutorial groups, lectures, coordination, tests) at a very short notice. 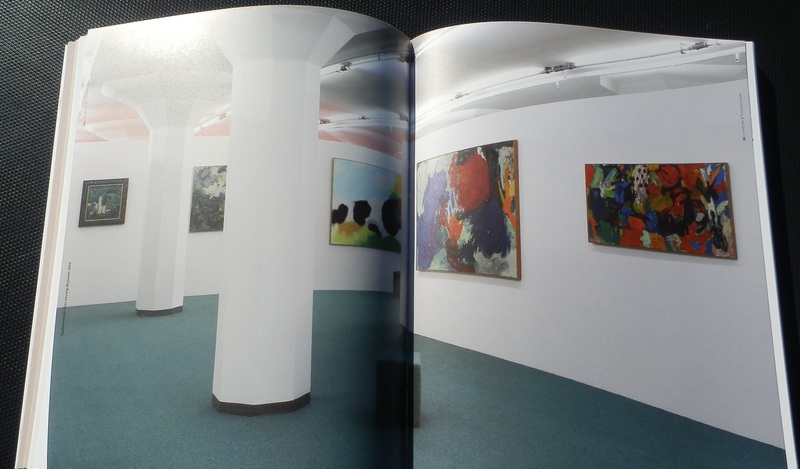 For Museum Schunck in Heerlen (NL), Sytze functioned as editor-in-chief for the new book on the museum’s collection. He edited the essays in Dutch as well as their English translations. Since 1945, Heerlen owns a collection of contemporary Dutch paintings, which were bought at first by the city itself, later by the Stadsgalerij and now by Cultural Centre (sometimes self-described as “Newseum” rather than “Museum”) Schunck. The book does not offer the complete collection, that overview can be found on the Internet. Instead, the book contains seven essays by curators, historians and writers, plus a photo section of highlights from the collection. 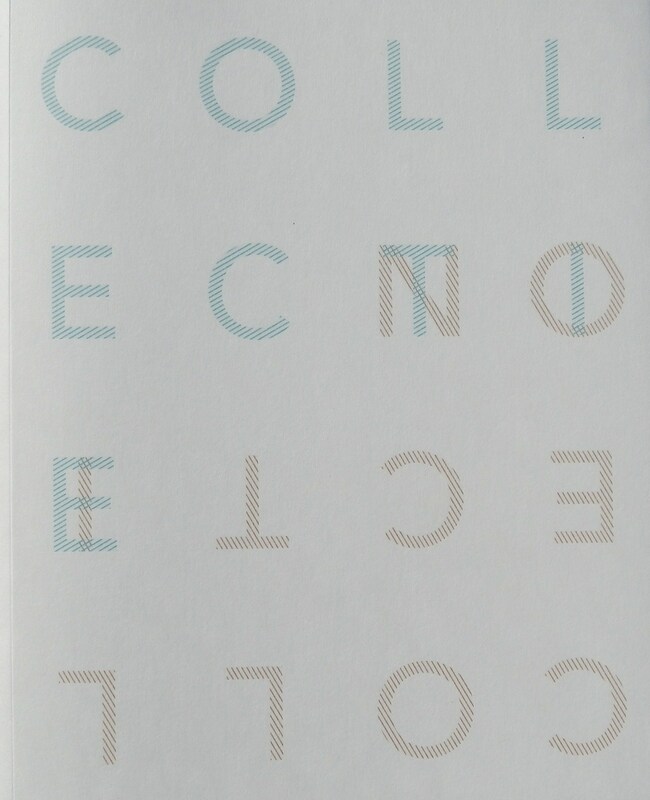 ‘About the collection’ presents the history of the collection in revealing detail. 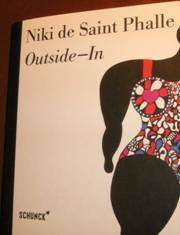 A fortnight ago, the exhibition catalogue “Niki de Saint Phalle: Outside – In” was published by Museum Schunk in Heerlen, The Netherlands. For this catalogue Sytze translated two texts from French into Dutch, one by Niki de Saint Phalle herself and one text by Camille Morineau, curator at the Centre Pompidou in Paris. He also translated and edited Saint Phalle’s biography. For the Faculty of Law of Maastricht University, over the past months Josh has been putting together a number of EndNote output styles. EndNote is database software used by scholars to enter their bibliographical information and to adapt it to the required referencing style. (Think of the footnotes and citations in scientific journals and books.) She made an information analysis of three manuals for legal quoting, to be able to apply standard referencing styles. She the programmed three styles: one based on the guidelines by Kluwer, for the Dutch market; one for the British market, based on OSCOLA; and a style that is based on BlueBook for the American market. The project has been completed to full satisfaction. Sytze has started to write a blog on the arts and philosophy: http://sytzesteenstra.wordpress.com/. For the time being,the blog is written in Dutch. 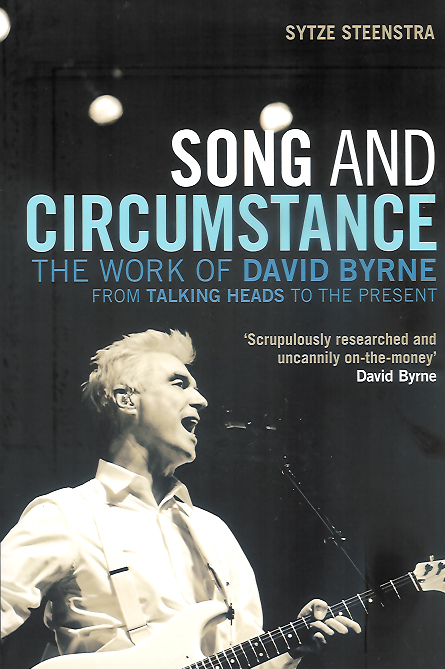 David Byrne can hardly contain his enthusiasm for this study, and no wonder. Dutch philosopher Sytze Steenstra, who wrote his doctorate about Byrne, has delivered a superbly wide-ranging, detailed and insightful analysis of the rock star, filmmaker, artist, and design collaborator’s multifaceted oeuvre. A discussion of Byrne’s book The New Sins, for instance, takes us to the German Romantics, Novalis, and Nietzsche. You emerge thinking that this much-celebrated pop-avant-gardist and bicycling cultural omnivore might even be a tad nderrated. Sytze Steenstra during the successful presentation of “Song and Circumstance: The Work of David Byrne from Talking Heads to the Present” in Neale Williams Antiquarian Books in Maastricht. The review of Song and Circumstance by Clive Bell in The Wire has been copied by a website that is dedicated to Brian Eno, “More Dark Than Shark”. The review in its entirety can be found at: http://tinyurl.com/25mf4sq. Book presentation of Song and Circumstance in Maastricht. Everyone welcome! Continuum editor David Barker added two photos of the book launch for Song and Cirucmstance to his blog on Continuum’s 33 1/3 music series: see http://33third.blogspot.com/2010/07/amsterdam-book-launch.html. To see more photos of the successful launch, check the Dutch version of this site. A pleasant surprise: we’re on the poster for a photo exhibition in Berlin. Josh Moll and Sytze Steenstra “in 3-D”, or better: in a fairground 3-D cinema, some twenty years ago. 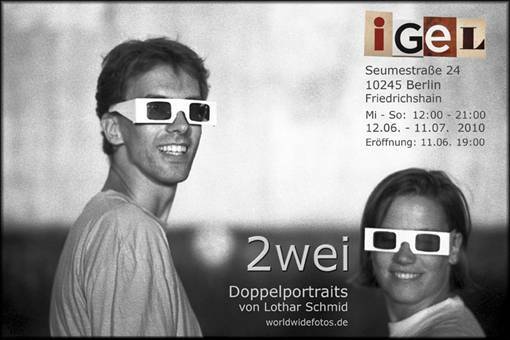 Photo exhibition: “2wei”, double portraits by Lothar Schmid, www.worldwidefotos.de. Launched in the U.S.A., within two months in the Netherlands. Song and Circumstance. The work of David Byrne from Talking Heads to the present.